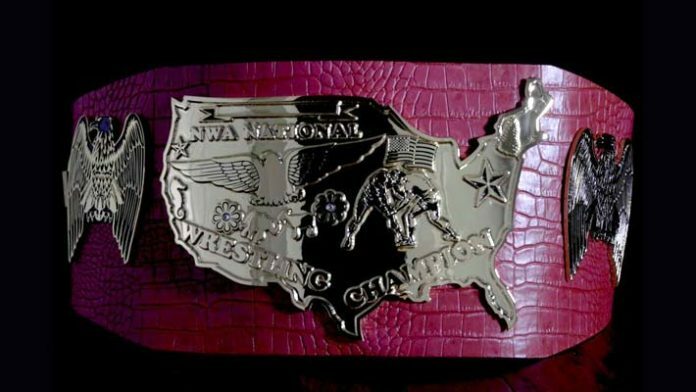 The National Wrestling Alliance has unveiled the new NWA National Championship, which will awarded to a new champion this Sunday at the NWA 70th Anniversary pay-per-view live from Nashville, Tennessee. Eight men will compete in two 4-way elimination matches. The winners of the elimination matches will battle to crown the new champion. Click here to check out the full card for the NWA 70th Anniversary, which can be streamed live on the FITE app.